In 2005, the town of Manosque, Alpes-de-Haute-Provence, added to its local architectural heritage a new edifice, the "sugar-loaf bòri" as its discoverers chose to call it (1). 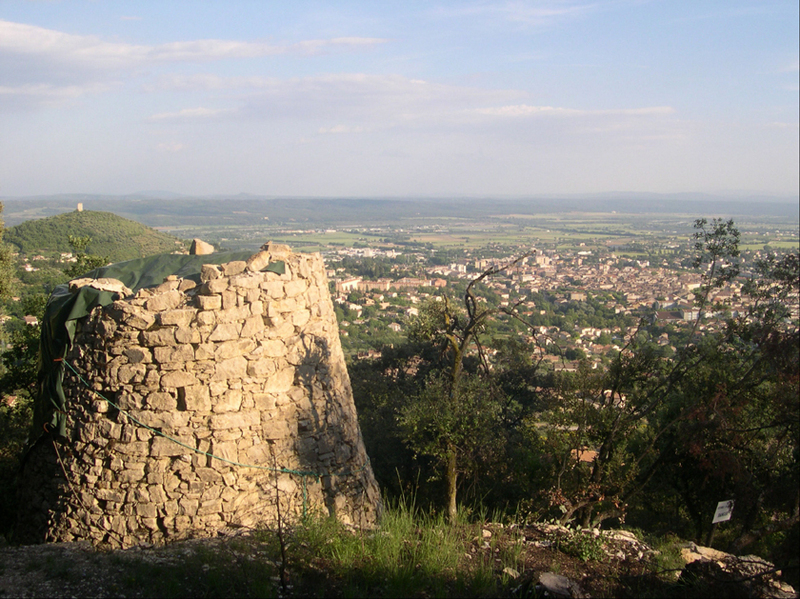 A classical "cabanon" in its own right, the edifice is found on the southern slope of the Espels hill, from where it overlooks the city of Manosque. It is associated with a succession of disused agricultural terraces which are retained by dry stone walls. 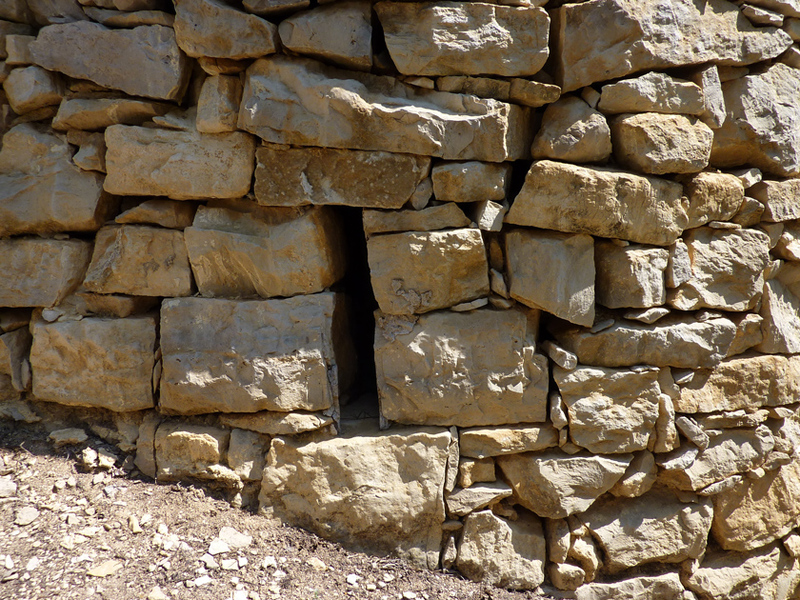 Communication is through dry stone stairs which are either let into the thickness of the retaining walls or affixed alongside their facing. The construction date appears to be the late 19th century. The last owner, as indicated by the local register of ownership for 1998, was one Maurel. The edifice was purchased by the local municipality in 1999. 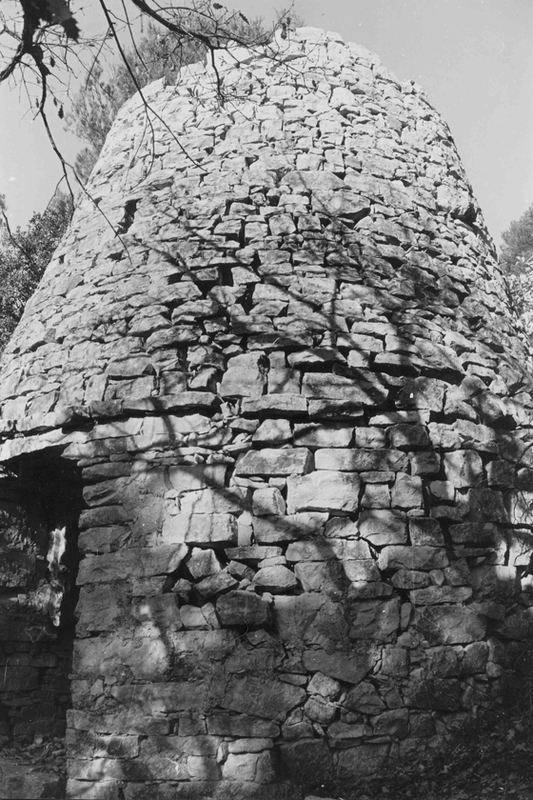 The "sugar-loaf bòri" in its present setting and condition: the roofing is at least three times as high as the cylindrical base. The overall exterior height is 9 m. Standing as it does on a terrace on a hill, the enormous masss of stone is susceptible to slope movement caused by gravity. To go and see it, one must take the "chemin du Relais" and, when reaching the reservoirs on the left, follow the path across the side of the Espels hill.The site is off-limits to cars, as its access is blocked by an iron chain. The place was overrun by vegetation when, in March 2002, it was cleared and tidied up at the instigation of the "Comité du patrimoine manosquin". 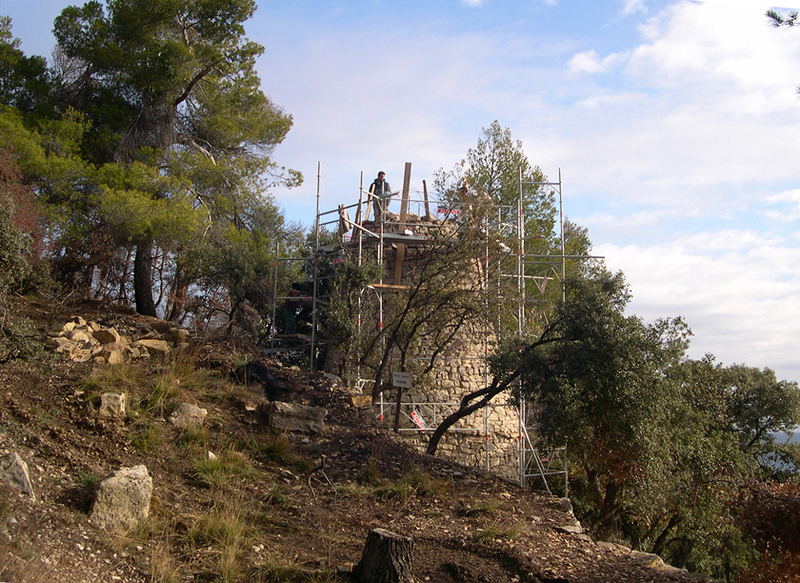 The edifice was restored by the "Alpes de Lumière" society, under the supervision of the "Parc naturel régional du Luberon", in 2004-2005. Its truncated cone-shaped roof was capped by a dome-like stone structure to re-establish the roof's original sugar-loaf shape as envisioned by the architect in charge and the head of the restauration team. The restoration work went ahead although no photo of the intact edifice is available. Two photos taken in the 1960s show only a truncated cone with no apparent top. The hut in the 1960s: the top of the roofing is made to look dome-like by the upward shot when in fact it has been levelled off. (Photo courtesy of Comité du patrimoine manosquin). 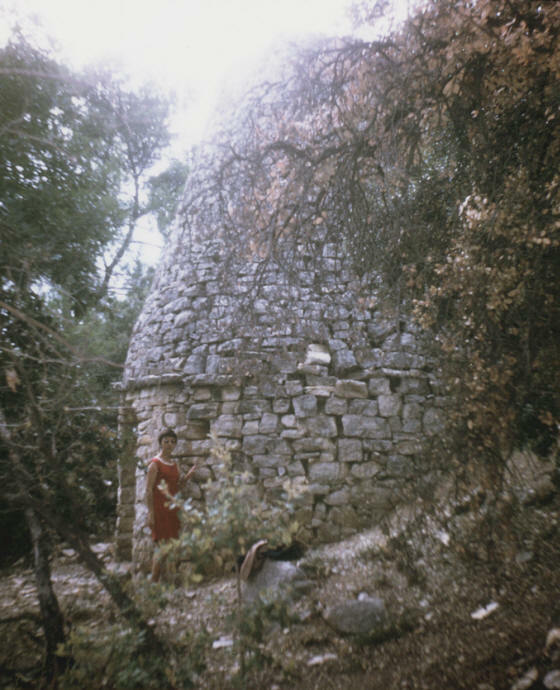 The hut in the 1960s: as far as once can judge, the roofing is twice as high as the cylindrical base. The facing on the edifice's right-hand side (to an outside observer) betrays a disorder right above and underneath the ring of projecting stones (Photo courtesy of Comité du patrimoine manosquin). A man living nearby confided one of these authors (Jean Laffitte) that his grand-father had seen the building with its top still intact: it was pointed. According to the informant, the builder of the "cabanon" was nicknamed "Pierre le brave" (honest Pierre). 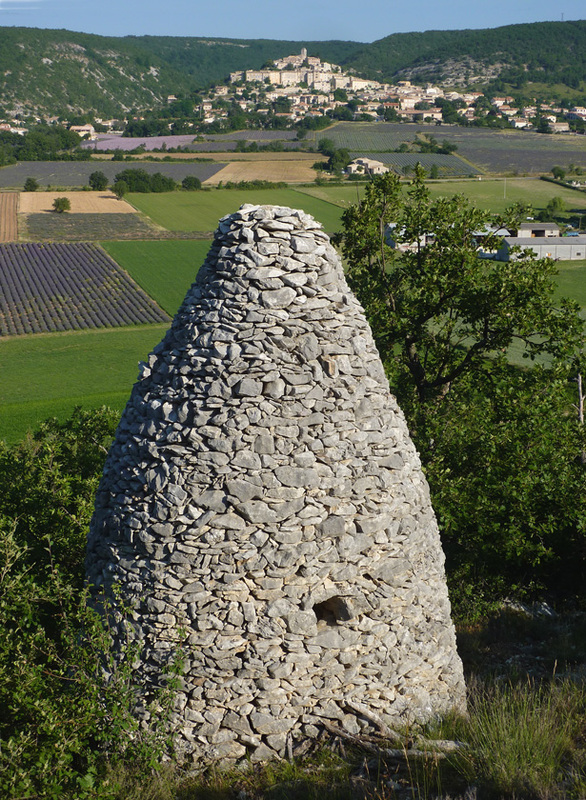 Jean Laffitte suggests the original, fully preserved hut may have resembled the ogive-shaped huts encountered at Banon, or the tapering, cone-shaped hut at a place called Ardène, at Saint-Michel-l'Observatroire. One of the huts in the Castor agricultural terraces ar the place known as Les Rivarels at Banon, Alpes-de-Haute-Provence: the roofing's profile is close to that of an ogive or lancet arch. 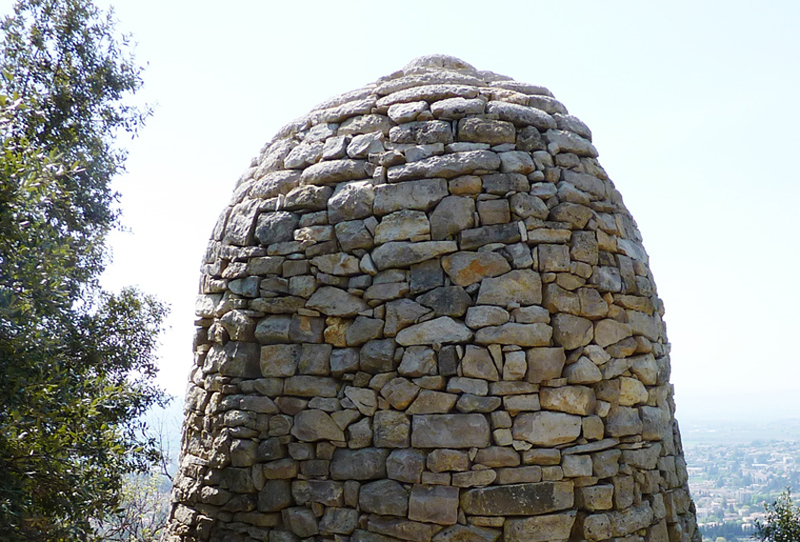 The Ardène hut at Saint-Michel-l'Observatoire, Alpes-de-Haute-Provence: the roofing is a perfect rectilinear cone, capped by a pointed stone finial. Restoration work on the edifice consisted in redoing the facing on the right-hand side, both above and under the ring of projecting stones, and erecting a solid dome of stone on top of the truncated cone, so as to restore the roof's supposed sugar-loaf appearance. View from uphill of the tarpaulined roofing at the beginning of the restoration work. (Photo courtesy of Comité du patrimoine manosquin). 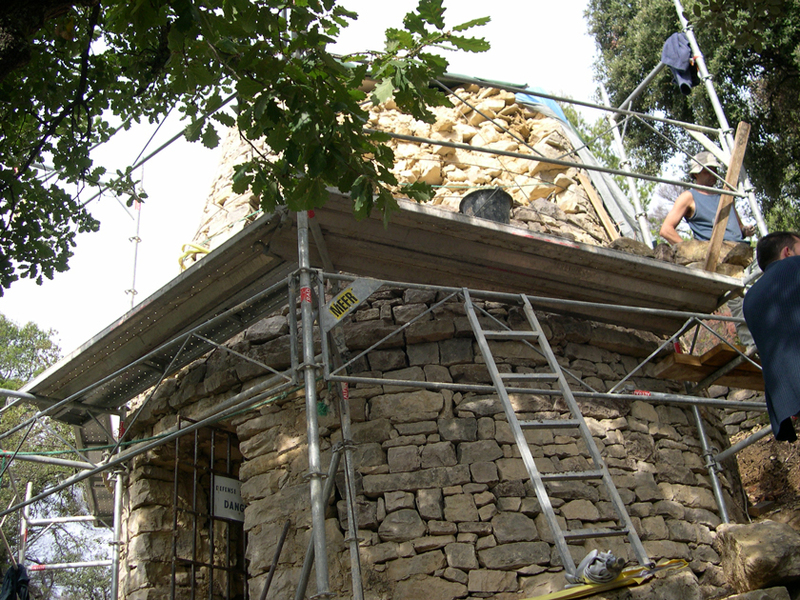 The roofing's revetment is being redone above the circular ring of projecting stones. (Photo courtsey of Comité du patrimoine manosquin). Work starting on the top of the roofing. One cannot help being impressed by the towering edifice and a sprawling scaffolding the initial builder could certainly have done with. (Photo courtesy of Comité du patrimoine manosquin). 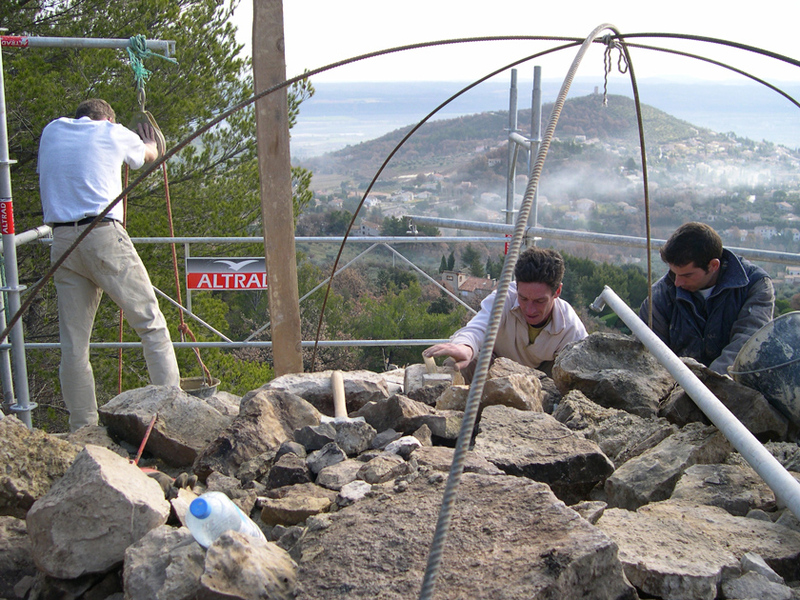 Building the dome: its shape is delineated by three intersecting semi-circular iron rods. Judging from the lack of a central opening and the sprawl of stone blocks all over the place, the dome will be a solid mass of stone, (Photo Comité du patrimoine manosquin). The back of the roofing after completion of the top: a horizontal dividing line is visible between the truncated rectilinear cone and the bulb-like mass of stone on top of it. 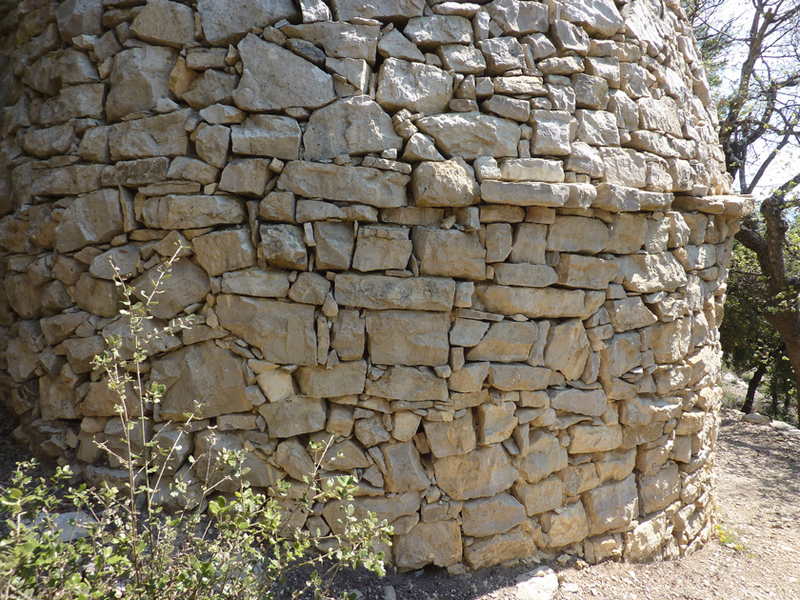 The technique used in the rounded top provides ample food for thought: the inward slant of the revetment stones increases with each new course, resulting in horizontal joints gradually becoming vertical, as in the extrados of a keystone vault. The dome cannot possibly be watertight. Besides, the front ends of a number of stones in the final curve have not been sufficiently smoothed, resulting in awkard projections. The right-hand side of the hut after restoration: the facing both under and above the ring of projecting stones shows fine workmanship. The broken, interrupted ring has been fully restored. The left-hand side of the hut after restoration: the stonework, which has been left untouched, is unremarkable. The stone ring appears to be missing round the back. The stonework to the left is rather sloppy: it looks as though the wall, being set into a bank, was built from within the edifice. The hu's entrance: the doorstep is a large rectangular slab laid across the doorway. The lintel is a long slab supported on each side by slabs projecting from the reveals. The door uprights alternate headers and stretchers. Upward shot of the vault's intrados. This is the neatest part with its strictly circular plan and distinct courses. The tapering slot which runs up to the top is the chimney's smoke conduit, a unique design as far as we know. 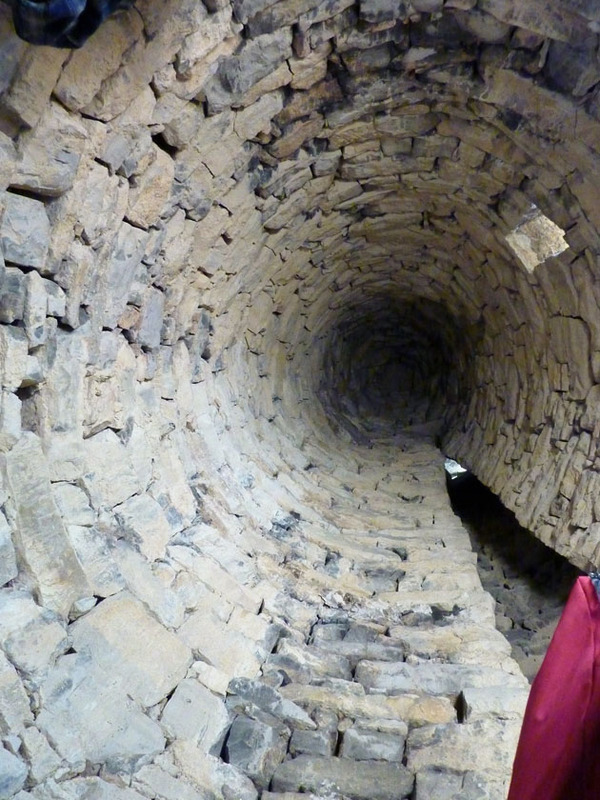 Upward shot of the chimney's smoke conduit. It ends with an opening in the roofing. The stones are grey with smoke. 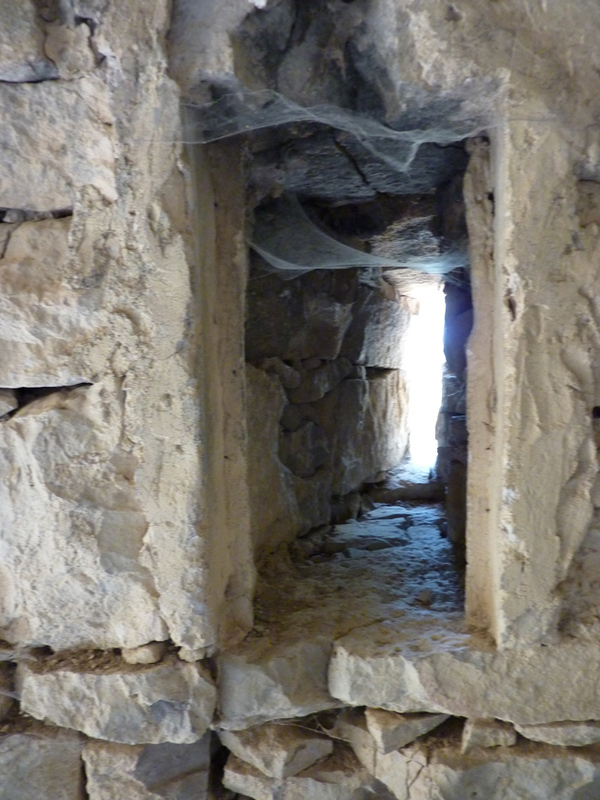 The hut's interior wall on the left when entering: in it are the reveal of a ventilation slot and, next to it, a cupboard let into the stonework. The cupboard's side walls are rendered with mortar judging from the traces visible on the left. A mortar scarcement bears witness to a vanished wooden shelf. There seems to be some unbonding between the surround of the ventilation slot and the stonework to its left. The hut's internal diameter is of the order of 5 m 15. The wall thickness is estimated to be 1 m 10 / 1 m 20 at a height of 1 m above the ground. A rebate can be seen in the mortar plastered on the surround of the ventilation slot, which means the slot was blocked by a wooden panel or glass pane fixed on a wooden frame. The slot-like outside opening of the ventilation hole. Disjointed stones or uncrossed joints are visible to the right of the slot. 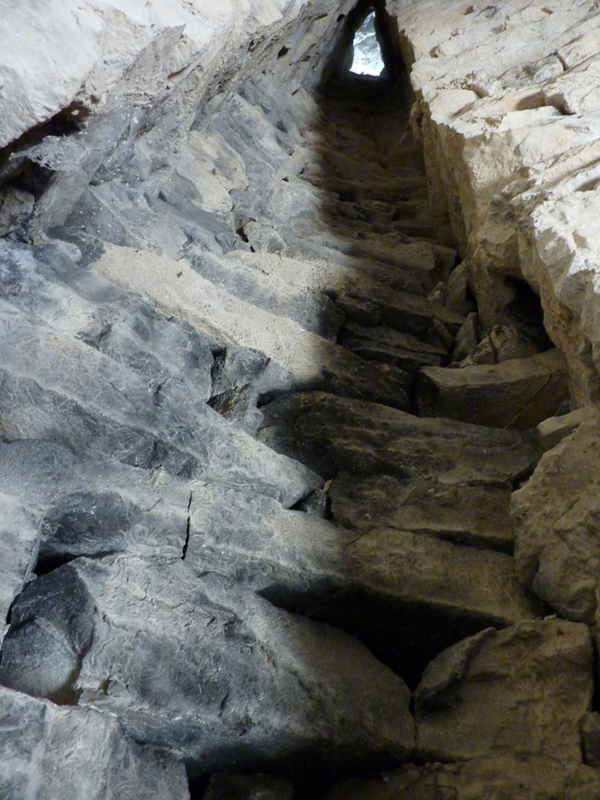 Below the edifice, an underground cellar, excavated out of the rock face. It was probably intended as a cool place for storing foodstufs and crops. 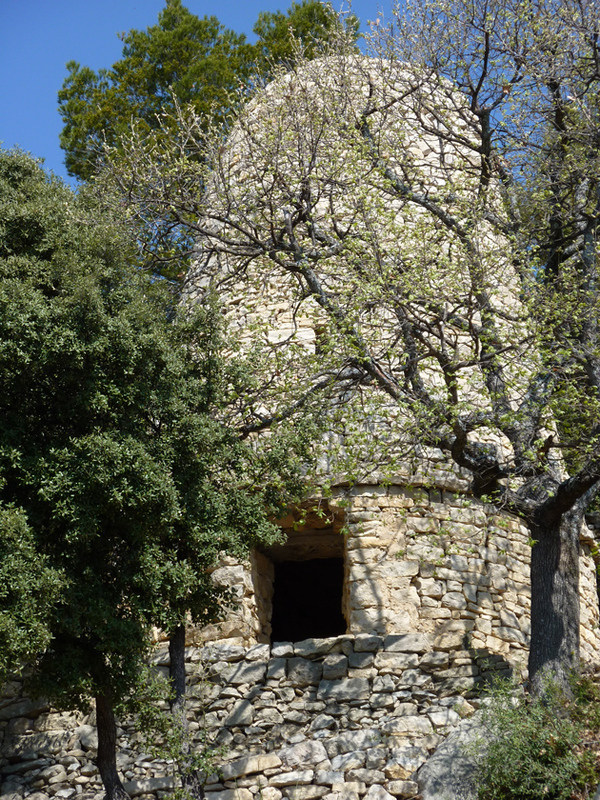 As a result of its own investigations, the "Comité du patrimoine manosquin" has claimed that from Sisteron, Alpes-de-Haute-Provence, to La Ciotat, Bouches-du-Rhône, "this type of building used to be called bòri." In Saignon, Vaucluse, for instance, the survey turned up "My grand-parents used to call it bòri" (2). However, one cannot but note that there exists no indication as to whether "Honest Pierre" would have called his own hut "bòri" rather than "cabanon pointu." Considering the fact that the hut was described as being "pointed" by the grand-father of a local resident, it would be wise not to plump for a designation the use of which is unsubstantiated at Manosque's Les Espels in the late 19th century. It should be borne in mind that the provençal word "bòri" is given by Mistral (3) as signifying "masure, cahute, en Provence" (i.e. tumbledown cottage, poorly-built hut, in Provence), and not "cabane de pierre sèche" (dry stone hut). 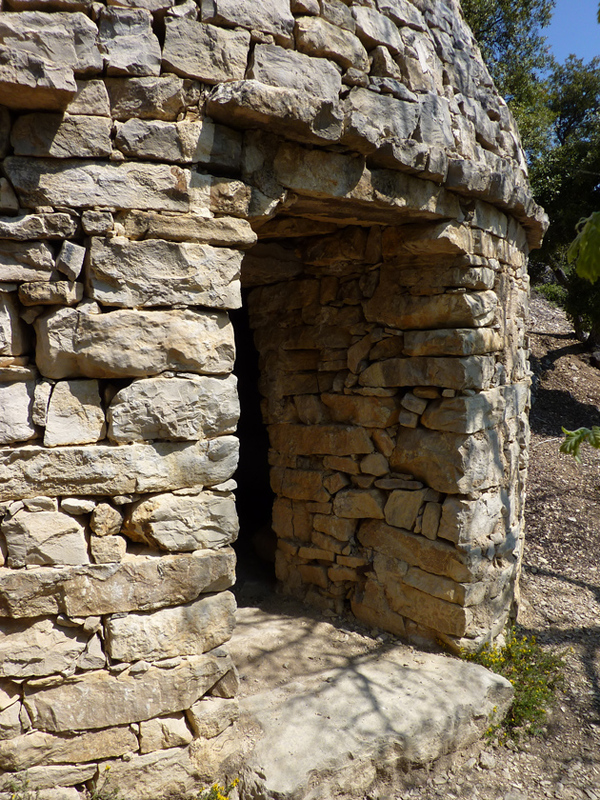 Of course, a dry stone hut may have been called a "bòri" just like a house would have been called that name had it been architecturally insignificant or in very poor repair. 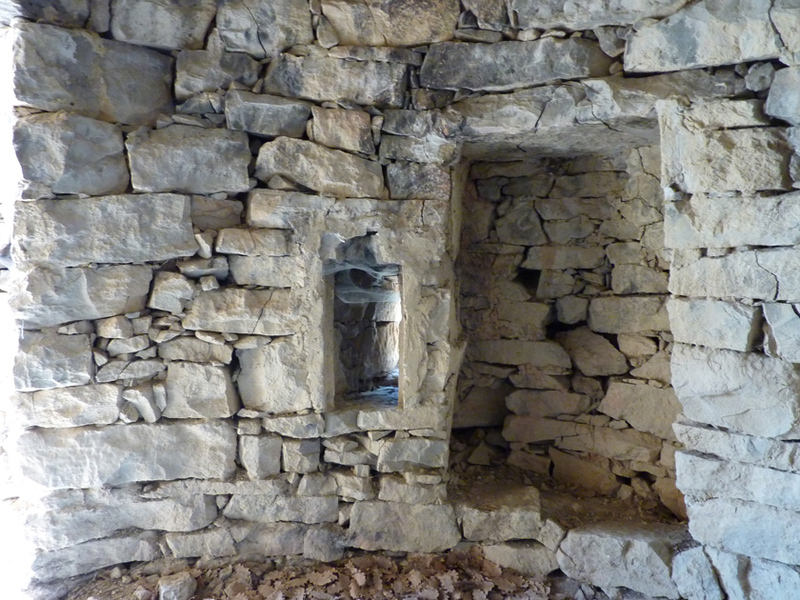 "Bòri" is a pejorative descriptive term, not a vernacular designation of the dry stone hut (4). 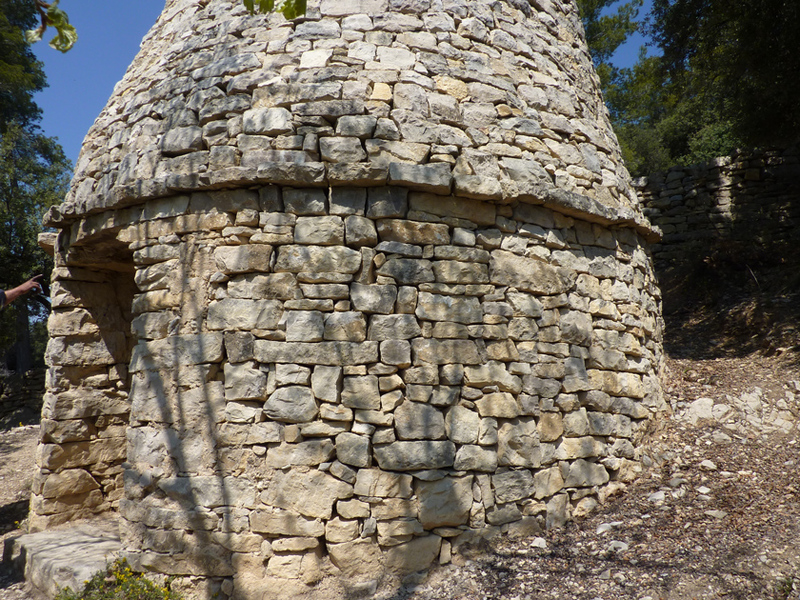 It must be clearly understood that the term "bòri" was transformed into a designation of the dry stone hut as early as 1866 by abbot Gay in his "Histoire du village, du château et du fort de Buoux", as a result of his erroneously ascribing two localities known as "Les Boris" at Buoux, Vaucluse, to the presence of two very large dry stone huts used as sheep shelters. Although Gay's misinterpretation was exposed by Fernand Sauve in 1904, it was repeated by Louis Gimon (1882), J. Gilles (1890), Prosper Castanier (1893), and by David Martin, F.-N. Nicollet, Charles Cotté en 1912. 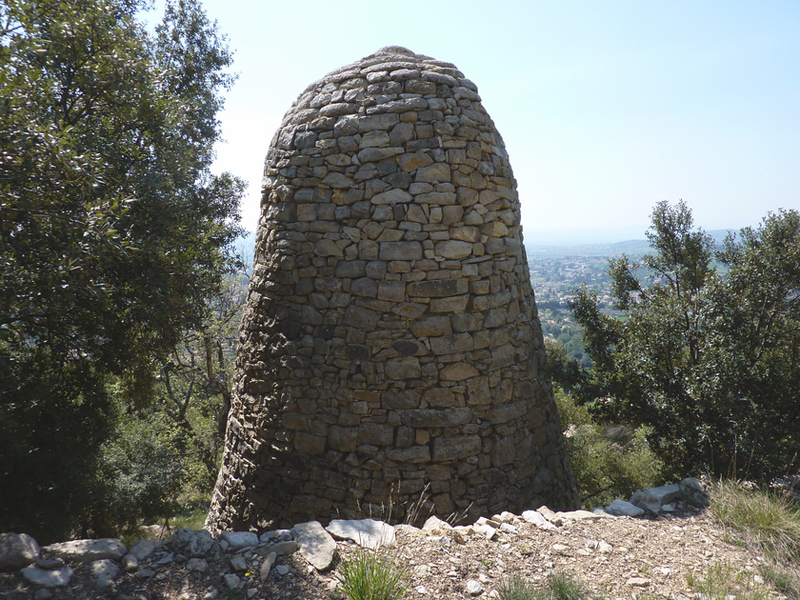 Most notably, the article published by David Martin in "Annales de Provence" under the title "Les boris de Provence", was instrumental in establishing the descriptive term "bòri" as the provençal designation of the dry stone hut. That development was not unproblematic as the term "bòri" ended being spelt erroneously "bòris" (with a final "s") in the singular, just like the Russian first name "Boris." 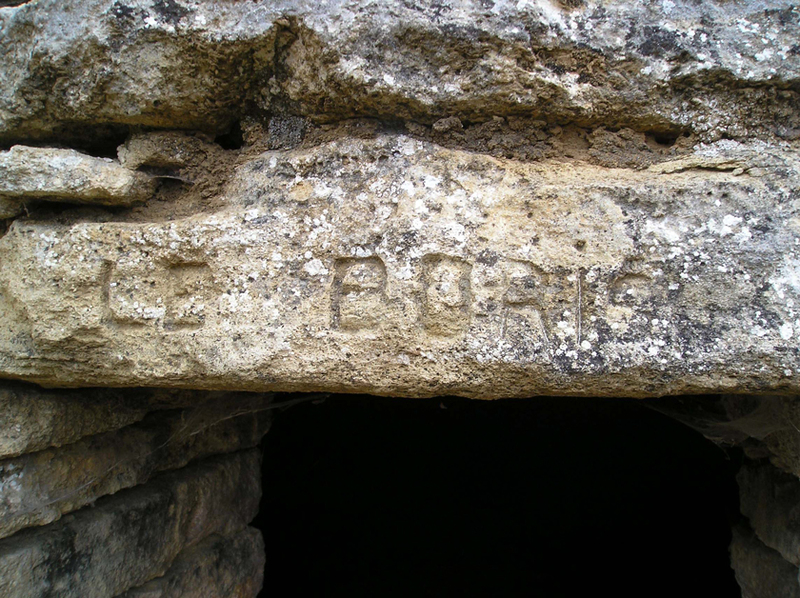 An instance of this is the inscription "LE BORIS" carved on the lintel over the entrance of a hut at Jouques, Bouches-du-Rhône. Hut at a place known as Citrani at Jouques, Bouches-du-Rhône, with the inscription "LE BORIS" carved on the lintel over the entrance. In 1945, renewed popularity was brought to the word "bòri" by Maurice Louis, Sylvain Gagnière and Pierre de Brun's article "Les boris de Gordes," published in "Bulletin de la société languedocienne de géographie". More articles in the same vein were to follow, in a process described by Christian Lassure in a 1979 assessment entitled "La terminologie provençale des édifices en pierre sèche : mythes savants et réalités populaires," published in the journal "L'Architecture rurale", an online version of which can be accessed here. Obviously, the Manosque "bòri" is the latest in a long series of operations intended to publicize "bòri". (1) Cf. "Patrimoine et orthographe de BÒRI," Comité du patrimoine manosquin, 15/11/2008. 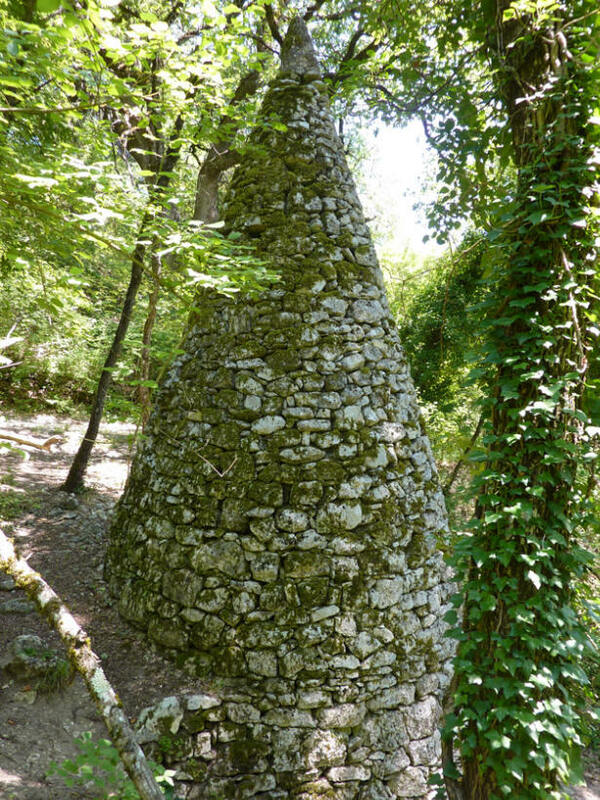 (2) In August 1977, in the debate following a lecture on the "bories de Provence" by provençal scholar Jean Barruol at the then brand new "Village des bories" at Gordes, Vaucluse, a number of villagers voiced their astonishment at the term "borie" being applied to edifices that they themselves and their parents had always called "cabanes". The local name of the so-called "Village des bories" (actually just an outlying quarter of Gordes), they insisted, was "Les Cabanes." (3) Frédéric Mistral, Lou Tresor dóu Felibrige ou dictionnaire provençal-français (1878-1886), Aix-en-Provence. - a crayon of coloured wax used for temporarily marking the skin or wool of cattle. 4 - Qu'est-il arrivé à la cabane de Saignon (Vaucluse) ? 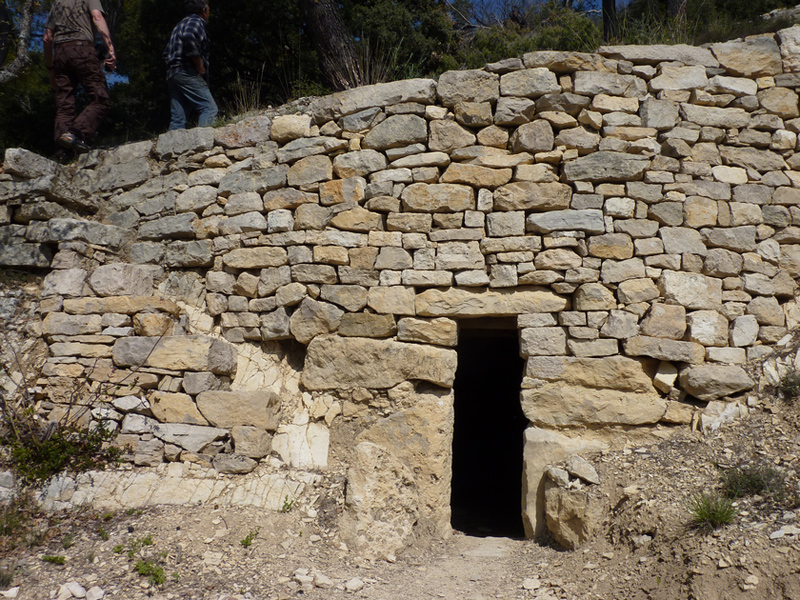 / Whatever happened to the Saignon, Vaucluse, drystone hut?